Poor indoor air quality can affect your family’s health. Because it is concentrated and trapped in your home, indoor air pollution can actually be worse than the air outside. Use these five methods to improve indoor air quality at home. 1. Purchase a few indoor plants to improve indoor air quality at home. Indoor plants are natural air purifiers. Certain types of houseplants remove chemicals like formaldehyde, benzene, and ammonia from the air. By spreading some potted plants around your home and continuing to care for them, they will improve indoor air quality at home. 2. Open up the windows daily. If you have a ceiling fan in a room, turn on the fan and open the windows. This is a great way to refresh the room each day without spraying harsh chemical air fresheners. When you’re cooking foods that contain a lot of oil or spices, open the windows and turn on the exhaust fan. You don’t want the scents to get trapped in the walls and furniture. 3. Use eco-friendly cleaning products. When it’s time to clean, it’s always best to use eco-friendly products. Many chemical cleaning products contain VOCs that are unhealthy for people to inhale. Most stores carry natural cleaners, however, you can also consider making your own cleaning products to improve indoor air quality at home. Make various eco-friendly cleansers out of lemon juice, white vinegar, baking soda and more. 4. Check the vents and HVAC system. When you’re not diligently checking the vents and air filters, a lot of dirt and dust can collect. When a filter is dirty, the air that is pushed through your vents spreads dust through your home and your HVAC system works less efficiently. This eventually costs more money. 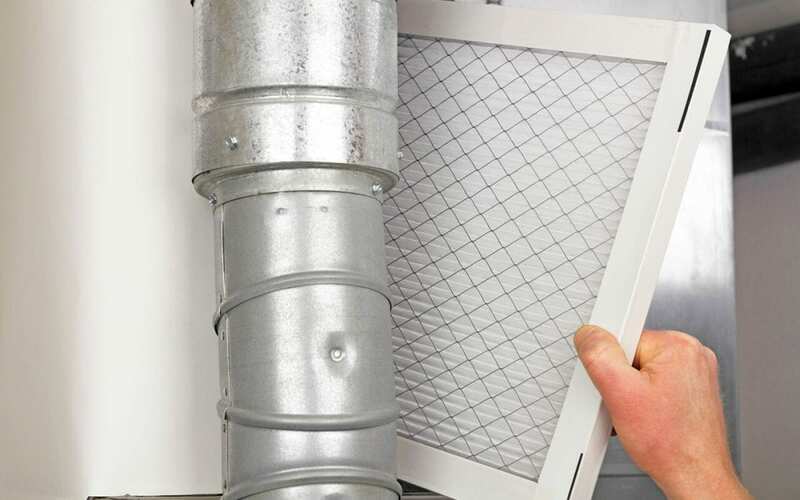 Instead, regularly change your air filters and vacuum your vents. 5. Clean your home on a regular basis. Improve indoor air quality at home by keeping the floors and surfaces clean. A lot of allergens, dirt, and debris can get caught and stuck in the carpet fibers, so while you have the vacuum out for the vents, vacuum the carpets too. Become vigilant with your cleaning schedule. Make sure that the countertops are wiped each night. Scrub your bathroom regularly to prevent mold from growing, which can introduce mold spores into the air. The cleaner your home, the better your indoor air quality will be, as long as you stay away from harsh chemical cleaners! HomeSpec Inspection & Renovation Consultants provides home inspection services including mold inspections and radon testing to North Mississippi and the surrounding areas. Contact us to book our services.